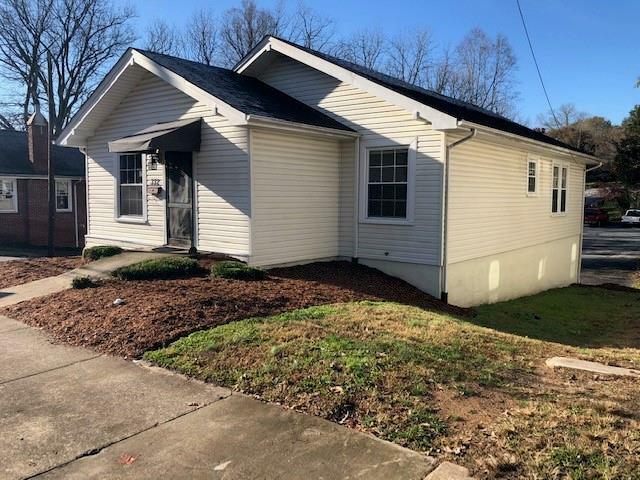 332 Mulberry Street SW, Lenoir, NC 28645 (#3453054) :: Caulder Realty and Land Co. LOCATION! EXCELLENT OFFICE LOCATION ZONED 0-I! 5-6 Offices on main level. Finished rooms have potential for additional offices in basement and upper level. Large kitchen and lounge. Nice deck off back of kitchen. Tons of storage in attic with built in shelves. Also, huge storage area in basement. Parking lot will accommodate up to 10 cars, plus parking on street. Wonderful location in Downtown Lenoir near the hospital and walking distance to the downtown square. Close to hospital, restaurants, shopping, schools. O-I allows business and residence! Potential to own a business and reside in living area. Sold by The Property Shop.